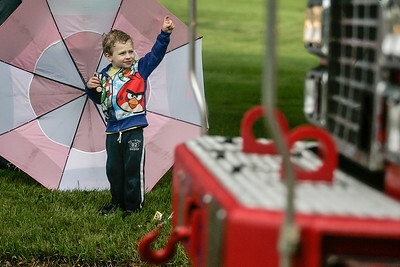 Lathan Goumas - lgoumas@shawmedia.com Henry Mitchell, 2, points to fire trucks as they pass during a parade celebrating the 100th anniversary of the Cary Fire Department in Cary, Ill. on Saturday, June 15, 2013. 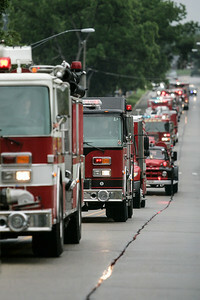 Lathan Goumas - lgoumas@shawmedia.com Fire trucks move up First Street during a parade celebrating the 100th anniversary of the Cary Fire Department in Cary, Ill. on Saturday, June 15, 2013. 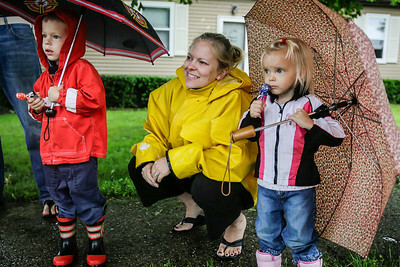 Lathan Goumas - lgoumas@shawmedia.com Logan Carter, 3, and Lorelei Carter, 2, watch with their mother Misty Carter as fire trucks pass during a parade celebrating the 100th anniversary of the Cary Fire Department in Cary, Ill. on Saturday, June 15, 2013. Despite rain people came out to help celebrate the event. Lathan Goumas - lgoumas@shawmedia.com Joshua and Justin Wood(wearing hat), both 3, play in an antique firetruck during a firetruck expo following a parade celebrating the 100th anniversary of the Cary Fire Department in Cary, Ill. on Saturday, June 15, 2013. Antique as well as modern trucks were featured in the parade and expo. 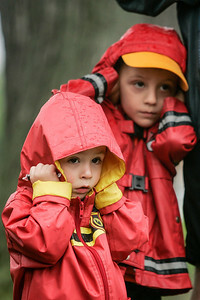 Lathan Goumas - lgoumas@shawmedia.com Noah Pelican, 2, and Jack Pelican, 4 cover their ears as sirens sour while fire trucks pass during a parade celebrating the 100th anniversary of the Cary Fire Department in Cary, Ill. on Saturday, June 15, 2013. 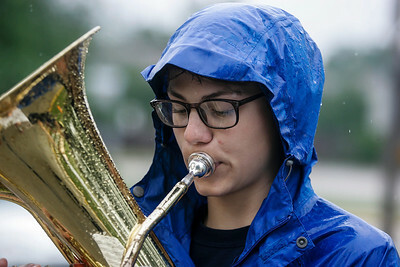 Lathan Goumas - lgoumas@shawmedia.com Neal Edwards,16, of the Cary-Grove High School marching band performs during a parade celebrating the 100th anniversary of the Cary Fire Department in Cary, Ill. on Saturday, June 15, 2013. Despite inclement weather the band marched in the parade. 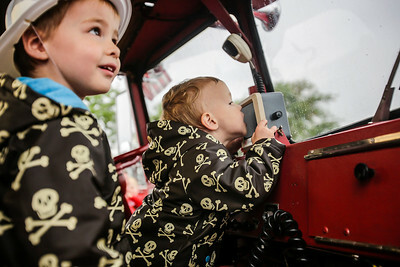 Joshua and Justin Wood(wearing hat), both 3, play in an antique firetruck during a firetruck expo following a parade celebrating the 100th anniversary of the Cary Fire Department in Cary, Ill. on Saturday, June 15, 2013. Antique as well as modern trucks were featured in the parade and expo.